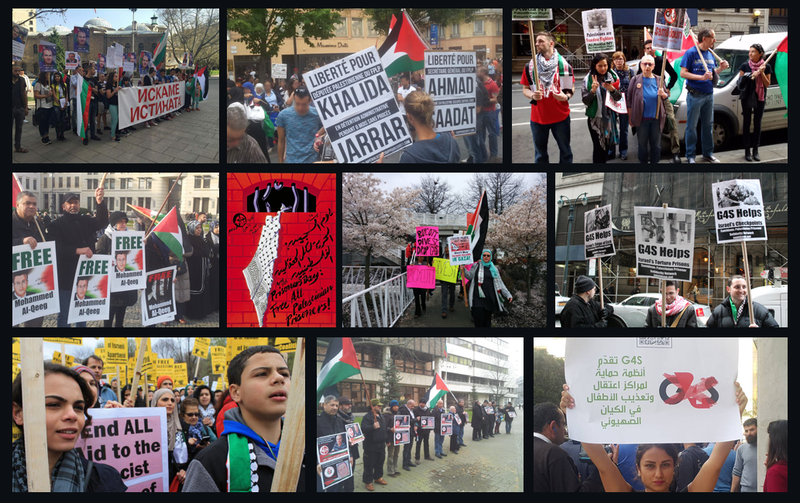 Visit samidoun.ca/khalidajarrar for all updates and news on the Campaign in Solidarity with Khalida Jarrar! A large number of Palestinian and Arab organizations and officials expressed their solidarity with Khalida Jarrar and rejection of the expulsion order against her by an Israeli occupation military court. Mohammed Sabih, assistant secretary-general for Palestine and occupied Arab lands in the Arab League, denounced the order, saying that it is part of the “war waged by the occupation against Palestinians in the West Bank and Gaza Strip,” and a violation of international law. The Executive Committee of the Palestine Liberation Organization strongly condemned the military court expulsion order, saying that it reflects “the brutal arrogance of the occupation and the desperate attempt to suppress our people…while it directs a bloody criminal aggression against our people in the Gaza Strip.” The statement urged international human rights organizations and parliamentarians to actively reject and campaign against the expulsion order, saying that the international community is responsible to compel the Israeli government to cancel the order and end its ongoing violations and crimes against the Palestinian people, their land and their rights. The Secretariat of the Palestinian Legislative Council denounced the attack on Khalida’s home and the expulsion order against her, noting that the order violates the Universal Declaration of Human Rights, “which confirms the basic human rights and dignity of the individual, with equal rights as the foundation of freedom, justice and peace in the world.” The PLC noted that this action violates articles 9 and 13 of the UDHR, forbidding arbitrary detention and requiring freedom of movement and residence within one’s country. The Fateh parliamentary bloc, the Democratic Front for the Liberation of Palestine, Hamas, Fida, the Popular Struggle Front, and the Palestinian People’s Party all condemned the order and demanded it be overturned immediately. Notable figures such as Dr. Hanan Ashrawi and Dr. Mustafa Barghouti also attended Khalida’s protest tent and condemned the order. Barghouti noted that it is clear that to the occupation there is no such thing as “areas A, B, or C” as all are subject to the raids and crimes of the occupation army. Abdel-Nasser Ferwana, researcher on prisoners’ affairs and a former prisoner, strongly condemned the order, relating it to the ongoing campaign of suppression directed against members of the Palestinian Legislative Council. Over 60 have been arrested and 36 are now detained in occupation prisons, most in administrtive detention without charge or trial.